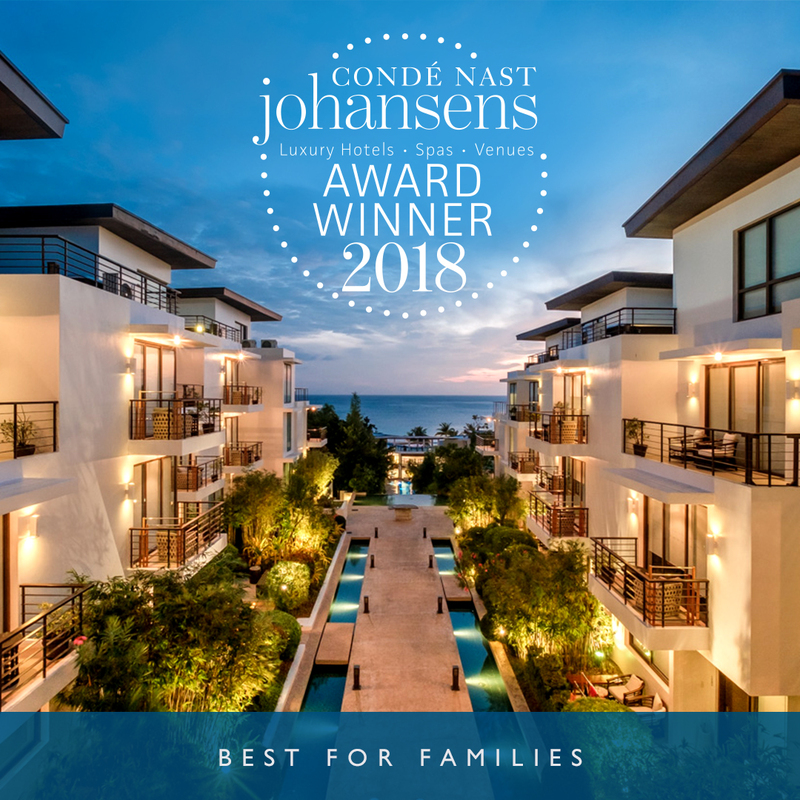 Discovery Shores Boracay and Discovery Primea Makati recently bagged awards from the coveted Condé Nast Johansens Awards for Excellence 2018. The two luxury properties are managed by The Discovery Leisure Company, a homegrown hospitality groupwith a colorful collection of hotels and resorts in prime locations around the Philippines. A member of the vibrant Preferred Hotels & Resorts Lifestyle Collection, Discovery Shores Boracaywas hailed as being the Best for Families. Meanwhile,Discovery Primea Makati, part of the prestigious Preferred Hotels and Resorts LVX collection, was named the Best Urban Hotel. Condé Nast Johansens is the leading reference guide for independent travelers, and each property within the collection is annually selected by their team of experts. It was created to acknowledge, reward and celebrate excellence across their recommended properties, with the world-renowned Awards for Excellence standing as a trusted mark of quality recognized by consumers and travel professionals alike. John Tiu, President of The Discovery Leisure Company, said: “We are deeply honored to win this international award as a homegrown hospitality group. Our sincere gratitude goes out to all our guests and partners who voted for our hotels and gave their unwavering support. Ultimately, this would not have been possible without the remarkable men and women behind Discovery, who relentlessly work as one family and deliver thoughtful ‘Service That’s All Heart’”. That a Filipino hospitality group would garner such esteemedinternational honors, Tiu further said,it comes as no surprisethat Filipinos around the world – a lot of whom are employed in top hotels and resorts – are knownfor their hospitality and warm service. The award is also proof of the capability of Filipino companies and their management, in particular those in the hospitality industry, to compete in the global arena. Additionally, the twin accolades, which follow the other substantialawards received this year from the World Luxury Hotel Awards,Travel+Leisure Magazine, and the Luxury Travel Guide Awards,are a testament to the world-class standards that the Discovery Group employs across all their properties, making the company ripe for expansion as it looks towards managing other luxury hotel and resorts in the country. Discovery World Corp. (DWC) is the owning company of Discovery Shores Boracay. #diverCHIty: Seeing the “Extra” in the Ordinary! Move Smooth, Shave Smooth with Schick Razors!